PROFILE - TAIWAN STANCH CO., LTD. Established in 1976 as a group of manufacturers focused on the production of medical related products. We are located in Taipei, Xizhi, Sanchong, and Hsinchu. We manufacture for global medical brands under OEM and also promote and market our own brands worldwide. Our sales network reaches over 120 countries including those in the Americas, Europe, and the US, Asia, Middle East, Australia, and Africa. Taiwan domestic distributions channels includes: hospitals, medical distributors, health/beauty , supermarkets, and chain stores. In total we have over 20,000 distribution/sales channels throughout Taiwan. Our factory has the capability to engage in vertical integration and development for new medical series products. We provide more consumer medical products for customers in different countries. Innovation and development are part of our core business model. We partner with universities research centers and key professionals in the fields of Chemistry, Biology, and Medicine to ensure our products are safe and of high quality. We also work with well known 3rd party testing labs like UL, Intertek, SGS to further test and qualify our products. Our strict production control and advanced technologies spread over 3000sqm brings a vertically integrated production under one roof. 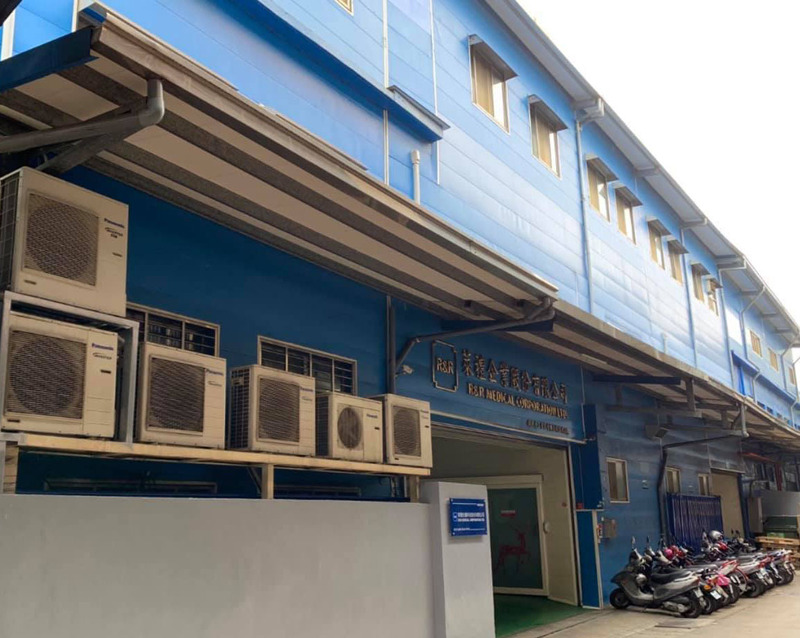 Taiwan GMP, US FDA GMP, and CE compliant facility assures that the production process from materials→ manufacturing →end market products are safe and compliant to global standards. Our work objective is to conduct R&D with a rapid speed and we currently have acquired 17 domestic and international patents and more than 24 international medical certificates. We have become Taiwan’s most representative OEM maker of consumer medical products while our sales reach every corner of the world including Asia /Oceania /Africa /Middle East /America /Central and South America /Europe. Our international OEM and brand sales have been highly recognized by customers for their high quality. That “what we gain from medical care will be contributed to medical care” is our business philosophy. With our efforts in Taiwan over the past century, we export worldwide while keeping our factory in Taiwan. We aim to increase Taiwan’s employment opportunities and devote ourselves to applications of OEM experiences to improve the level of Taiwan’s medical market. 1. We provide a workplace that complies with safety and health rules and regulations to avoid occupational diseases and deaths. 2. We ensure to integrate “dignity” and “safety” into all business activities including research, product development, manufacturing, shipment and sales. 3. We comply with international norms and CSR requirements of each country to develop the guidance for workplace safety and technologies of global sales, manufacturing and operations and effectively prevent the occurrence of workplace hazards. 4. We re-develop, implement, maintain and improve four operational principles to periodically improve and evaluate environmental and safety management system of our company and fulfill CSR to protect the life of our employees and provide a safe workplace. We give employees a stable life by guaranteeing their payment. 5. We develop a workplace where employees can rationally achieve self-management targets with dignity by understanding their own roles and duties for the completion of common business goals. During the process of business development, the employees’ living quality have been gradually improved. 6. We inherit and respect the business spirit of Taiwan Stanch Co., Ltd./ LAITEST Biotechnology Co., Ltd. to enable each employee to clearly understand operational standards and requirements. With mutual respect, employees are periodically given clear direction to work for and exchange opinions.